Do you like movies with gloomy old mansions, secret passageways, clutching hands behind curtains, bloodcurdling screams, and the like? How about we throw in some Chicago gangsters and a hidden pirate treasure? 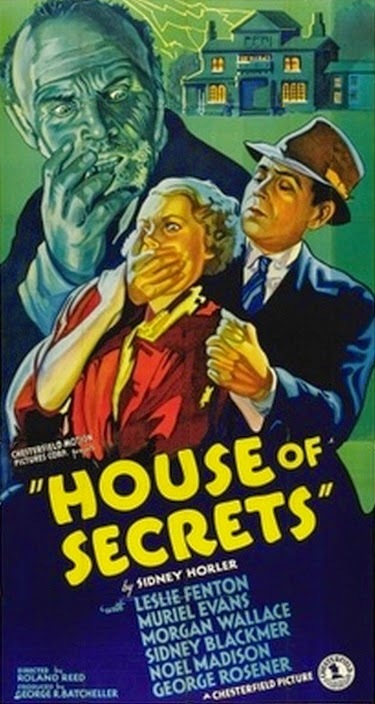 Then you may like HOUSE OF SECRETS, a ‘B’ mystery originally sold to audiences as a horror thriller. It’s no classic, to be sure, but it is an enjoyable little low-budget film produced by tiny independent Chesterfield Pictures, who specialized in this sort of thing, and featuring a better than average cast of Familiar Faces. 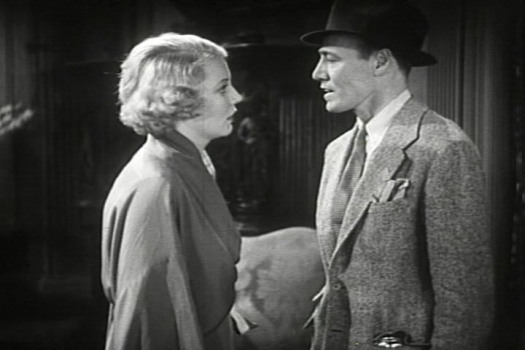 This entry was posted in Film, Film Review and tagged Chesterfield Pictures, Cracked Rear Viewer, Gary Loggins, House of Secrets, Leslie Fenton, Morgan Wallace, Muriel Evans, mystery, Noel Madison, Sidney Blackmer, Syd Saylor, Through the Shattered Lens. Bookmark the permalink.